Dennis N. Brager examines the elements of voluntary disclosures, illustrates how to make a voluntary disclosure and gives examples of defective voluntary disclosures. As anyone who has picked up a newpaper, watched TV, listened to the radio or surfed the Internet knows, Congress is obsessed with "closing the Tax Gap." In the Tap Gap, Congress has discovered the Holy Grail of tax policy. If the Tax Gap can be closed, then Republicans will be happy because taxes do not need to be raised, and Democrats will be equally pleased since spending will not need to be cut. In response to Congressional pressure, the IRS is pledging to ratchet up its tax collection machinery. As part of this effort, the IRS has indicated that a key component of closing the Tax Gap is increasing criminal investigations. Given this reality, it is a good time to take a look at what advice should be given to a taxpayer who has made reporting errors of a significant, and possibly intentional, nature and is now reconsidering the wisdom of his or her reporting position. 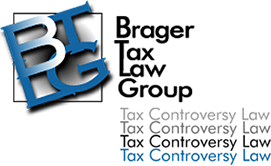 Similar issues arise in the case of a taxpayer who has simply failed to file tax returns. Thus, just because a voluntary disclosure is made does not guarantee that a criminal prosecution will not occur, but it may result in a criminal prosecution not being recommended. For that reason, careful consideration must be given to whether or not a voluntary disclosure should be made taking into account all of the facts and circumstances. It is also important to remember that the policy does not apply to illegal source income. Thus, the client who makes his or her money through narcotics or prostitution will not be able to take advantage of the policy. The same rule would apply to a taxpayer who failed to report income from embezzlement, Medicare fraud or other white collar crimes.